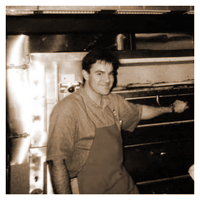 Peppers Pizzeria has been creating your perfect pizza since 1998. I opened the first restaurant in Downtown Thibodaux to feed the late-night bar crowds. 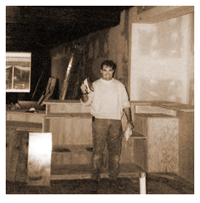 It was a tedious remodeling job that I did mostly with my own two hands along with a little help and lots of support from my wife, Carrie. My vision was a perfect pizza for all to enjoy, with only the best ingredients. Now with an additional location in Houma and a full menu with delicious salads, appetizers, pastas and more, Peppers Pizzeria has been voted the area’s best pizza and featured nationally. I founded Peppers with several core values, which are alive and well today. We are the community and it’s central to give back to it. Our people are our biggest asset and make the guests keep coming back. Our team takes pride in what we do – hospitality is our mission!